Kitchari is a traditional mix of rice and beans, and has been a part of the Ayurvedic lifestyle for a number of years. It typically contains two grains and is easy for people of all ages to digest. If you're planning to whip up your own batch, Banyan Botanicals offers the ideal spice mix. Kitchari Spice Mix is a traditional Kitchari spice mix that contains a blend of healthy, nutritious ingredients that provide robust flavor, as well as a number of health benefits. Make your Kitchari the way it should be made. 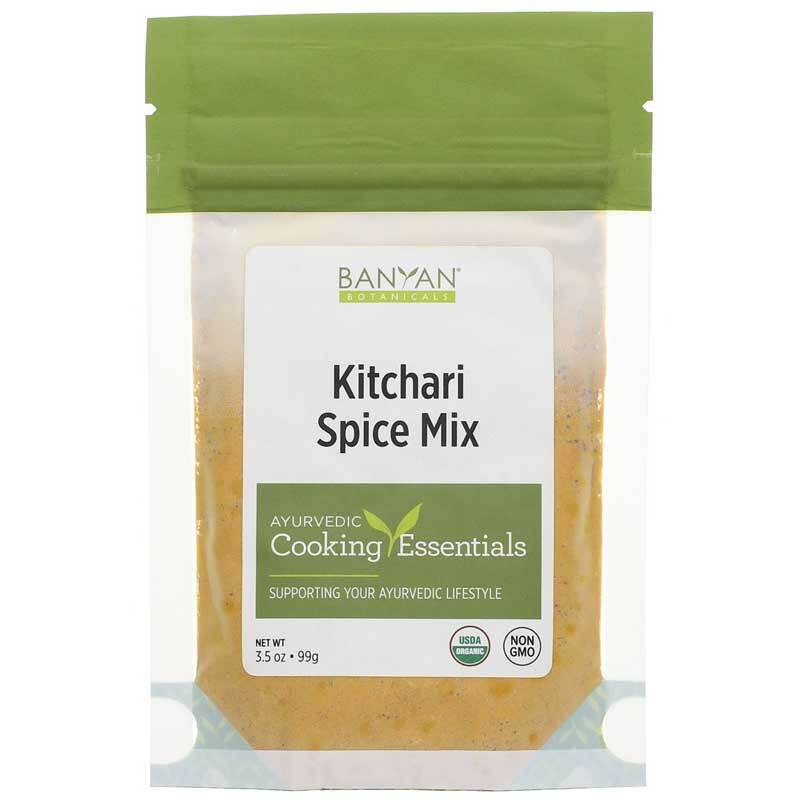 Choose Banyan Botanicals' Kitchari Spice Mix today, and give your dish the right amount of spice and flavor with wholesome and nutritious natural ingredients. Give this product a try today! In a medium saucepan warm the ghee. Add the kitchari spice mixture and saute for one to two minutes. Add rice and mung beans and saute for another couple of minutes. Then add 6 cups of water and bring to a boil. Once the kitchari has come to a boil reduce the heat to medium-low. Cover and cook until it is tender (approx. 30-45 minutes). If you are adding vegetables to your kitchari, add the longer cooking vegetables such as carrots and beets halfway through the cooking. Add the vegetables that cook faster such as leafy greens near the end. Add more water if needed. Typically, kitchari is the consistency of a vegetable stew as opposed to a broth. Garnish with fresh cilantro and add salt to taste (optional). I love the flavor of some Indian foods, but trying to match the flavor at home was a challenge. This does the trick and it's good for you, too! Just becareful - a little goes a long way! Purchased item through Natural Healthy Concepts instead of manufacture due to much more reasonable international shipping charges. Very quick service.<br>The Kitchari mix was very easy to use. Includes the basic recipe and is a great nourishing addition to one's diet.